The value of the cycle; I endeavor to talk about the good news stories as much as I do about the (bad news) potential risks in the market. The underlying economic fundamentals drive a market and give it depth, but don’t always do it fairly. Recently I have spoken to investors that started buying property in the 80’s and (to various degrees) continue to buy. Granted, a few folks that bought in the 80’s have changed their buying profile to larger, more manageable building and others have sold their commercial property choosing to only keep a few key residential ones to pass down to their children. When we talk about purchases made in late 2007/2008 we fall against the backdrop of the global recession. This ‘dip’ in the cycle was, and still is for some areas, much deeper than first anticipated. It’s actually quite incredible that Edmonton weathered this storm as well as it did; thank those underlying economic fundamentals. But, nonetheless some properties bought in the peak of 2007/2008 still haven’t climbed back up to where they were. Thus, this is the cycle. We look at real estate cycles typically being 5-7 years, and here in Edmonton you can see house prices coming back to earlier highs. Now, does that mean we are approaching a peak and shouldn’t buy? Be conscientious of what you buy - not based on where the cycle is so much as what the leverage/rates are that you are getting. A solid piece of real estate WILL hold its value throughout a cycle. Put another way, if you held your rental property for the full 25 year mortgage term (or whatever it is you set up) you would own an asset free and clear that would produce net CF for you (minus taxes/operating expenses) provided you had bought a solid property to begin with. The trouble you can get into with low rates is thinking that they’ll go on forever. Regardless of the timing in the market, it will still have a cycle of high-low-high-low and stabilization in between. Real estate is a long-term game. The winners have enough skin in the game to hold when they have to and will reap the rewards for carefully selected real estate that will weather the cycle. And what about the 2007/2008 property? 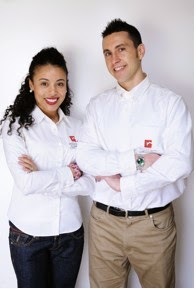 With proper management, mortgage administration and diligent repairs that asset will hold its value. And if you want to sell it…the cycle will come round (like it always does) and give you an opportunity to do so; with years of banked equity. 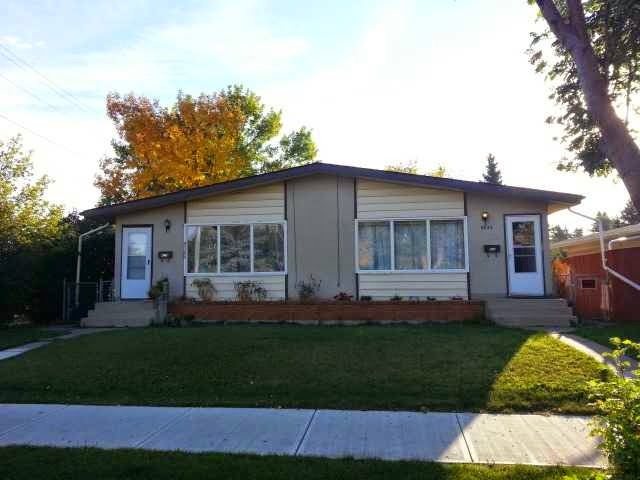 This 1963 built Side X Side Bungalow with in-law suites is located of Wayne Gretzky Drive in Terrace Heights. Easy access to Downtown, UOA and the Yellowhead as well as many parks and schools to enjoy in this neighbourhood. This property has front entrances to the 2 X 2BD main floor units and lower entrances for the 2X 1BD suites. This property was built as a duplex and will need renovations to operate the (non-conforming) in-law suites. This is a purchase plus improvement deal, meaning that we wrap the ($25K) renovations into a new mortgage. Ensuite laundry to be added. Property has parking pad . Excellent access to downtown, transit and Sherwood Park. Comes complete with great tenants making this a totally turn-key property for you. Terrace Heights is a great mature area that is a desirable for tenants working in the city or attending U.O.A.. HUGE upside potential due to the quality of the building, great purchase price, strong economic fundamentals and the proximity of this property in relation to Edmonton's desirable growing core. Purchase price factors in renovations. P.P. of $575K + $25K renovations = $595K. Your Estimated 5 Year Profit $94,475K. Louise Dirks admits it would be easier on her travel schedule to run her high-end shoe business out of a city like Toronto or New York, where trans-Atlantic flights are scheduled multiple times a day. At the beginning of October, the founder and owner of Gravity Pope had just returned to her Edmonton headquarters after a business trip to Paris. OTTAWA — The “uneven” global recovery will be with us for at least another year or two, although the pace of growth will be “more country specific” than before, according to the world’s biggest lending agency. Overall growth should reach 3.3% this year and 3.8% next year, the International Monetary Fund said in its October outlook released Tuesday. That’s down 0.1% and 0.2%, respectively, from the agency’s forecast in July. Canada is one of the top spots in the world for job seekers who are setting their sights abroad. The U.S., the U.K. and Canada are the world’s most popular country destinations for job seekers, a Boston Consulting Group global survey of more than 200,000 people released Sunday showed. Among cities, London is the most popular spot, while three Canadian cities crack the top 25 list for most-sought after places: Toronto (#8), Montreal (#21) and Vancouver (#23).